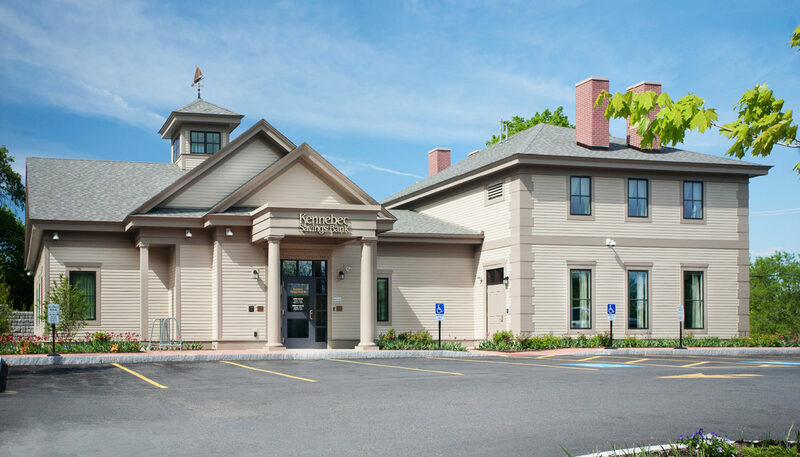 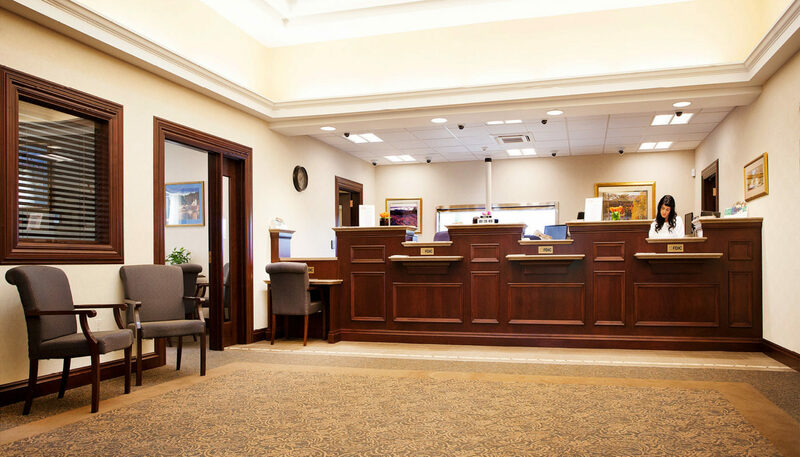 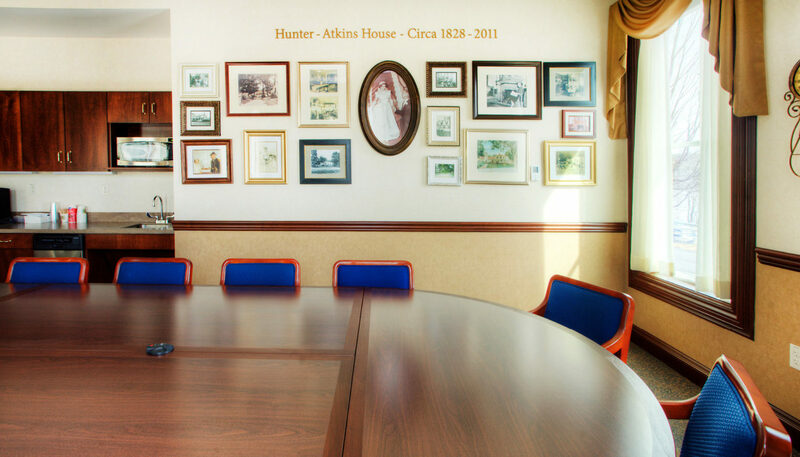 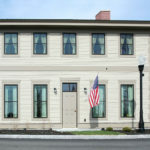 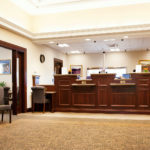 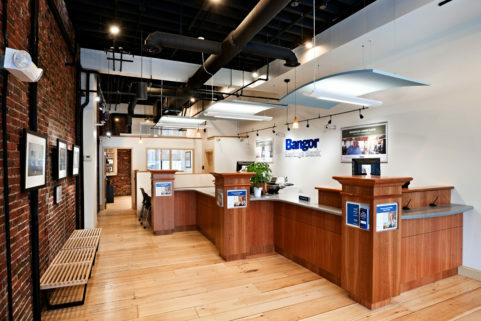 Kennebec Savings Bank in Farmingdale was designed to reflect the character of vintage homes in the area, while providing customers with a friendly, convenient branch with modern amenities. 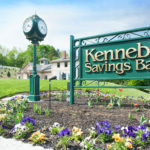 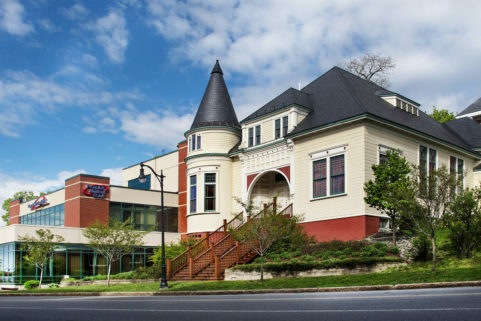 Built on the site of a historic home deteriorated beyond saving, Kennebec Savings Bank’s new 8,100 SF branch echoes the original structure, while serving as an example of sustainable, energy-efficient design. 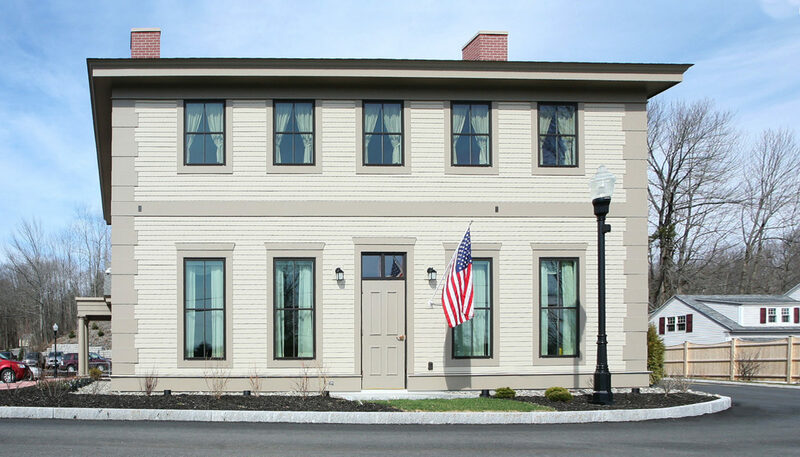 Highly visible from Main Street, the front façade has tall windows and decorative chimneys, reminiscent of homes from the mid-1800s. 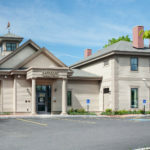 The rear customer entrance is designed to resemble a carriage house, complete with cupola, and the bank’s interior incorporates period-style woodwork. 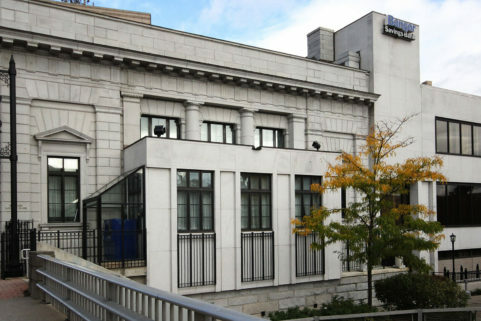 Its most visually modern feature, the drive-thru window, is tucked in the back beside the site’s distinctive retaining wall. 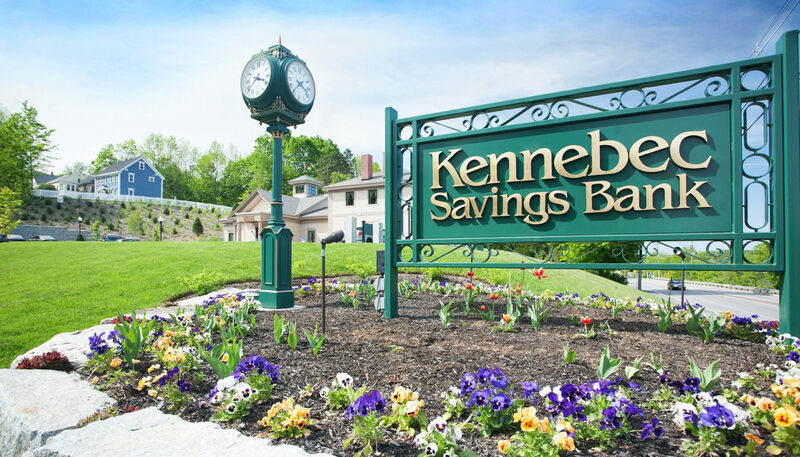 Kennebec Savings Bank’s Farmington branch achieved LEED Silver status due to it full complement of green features, including extensive daylighting and a geothermal system using six 450-foot deep wells to heat and cool the building. 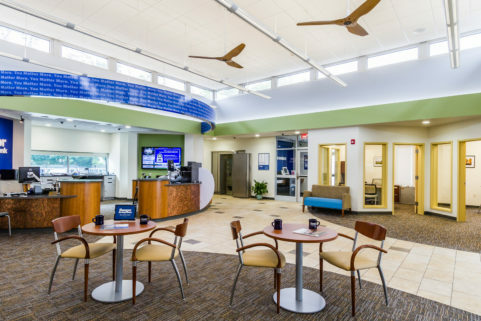 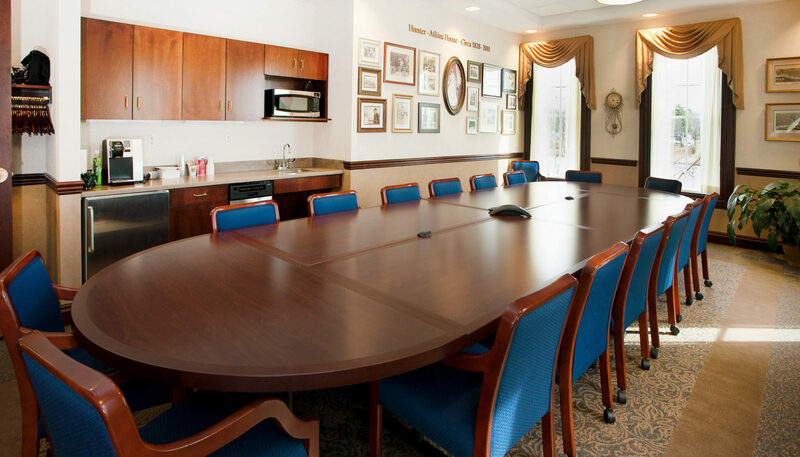 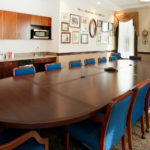 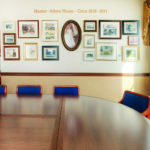 The project also includes low-VOC-emission carpeting, low-flow fixtures, and motion-sensor lighting.